Today in science year 5 were watching a demonstration called ‘Soda Snake Firework’. 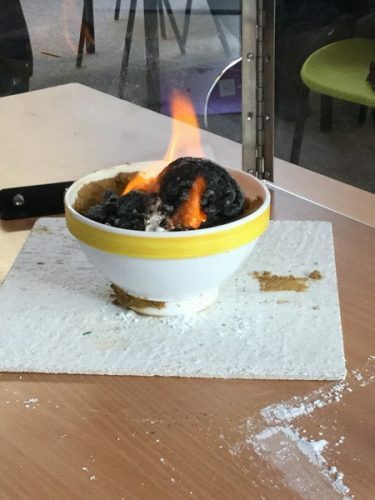 A glass bowl was filled with sand and topped with some baking soda and icing sugar mixed together. Then a bit of Propan-2-ol was drizzled on top of the mixture. 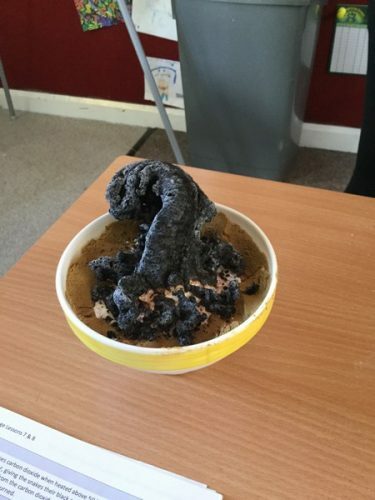 After setting it alight the mixture started to caramelise and eventually what looked like a black snake emerged from the bowl. It did take a few attempts for us to get it right, but we got there in the end! Great perseverance Kestrels! 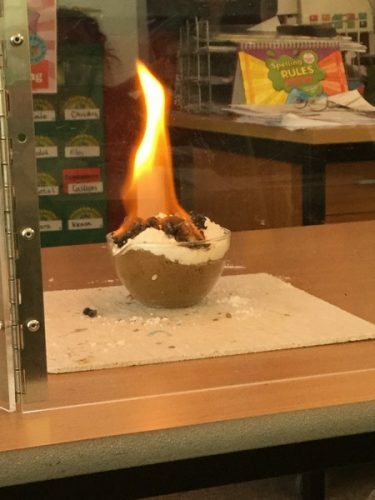 What an exciting time you are having in Science with our new scheme.